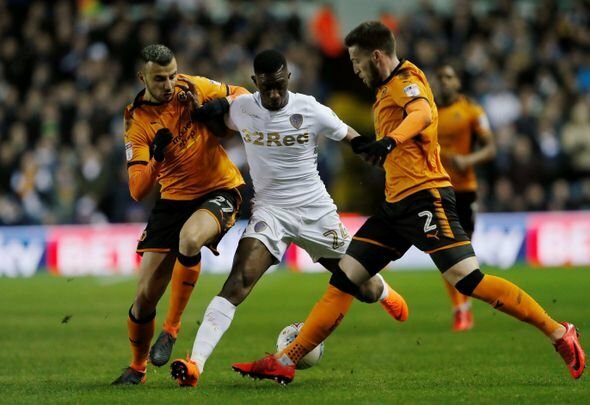 To say that Hadi Sacko had been written off at Leeds United might be a little harsh on the winger but the fact that Marcelo Bielsa was willing to ship the 24-year-old out not once but twice this season, firstly in the summer window and then again in the winter market, shows he is not in the manager’s plans any time soon. It is also testament to how poorly he performed at Elland Road that the supporters are left stunned on Twitter when he actually pulls off a bit of skill – although his goal for Ankaragucu is worthy of being categorised as a wonder strike. It was a fantastic long range effort which curved and dipped at exactly the right time to sneak under the bar and into the net. Anyone should be impressed with this effort but the fact it was Sacko simply has the Leeds faithful struggling to believe their eyes. From jokingly suggesting it was a misplaced cross to demanding DNA tests to confirm it was indeed the same Hadi Sacko, they really are shocked – and understandably so. Na that’s not Hadi surely ???? Is he playing in goal? The outfield player shooting is far too good to be Hadi Sacko. Beautiful cross, bonus it went in ???? The same Hadi Sacko that out the ball into the side netting from 4 yards out? Will only believe that if you dna test him!! !